The International Commission of Jurists (ICJ), Victoria is committed to the primacy, coherence and implementation of international law and principles that advance human rights. ICJ Victoria is distinguished from other organisations by its impartial, objective and authoritative legal approach to the protection and promotion of human rights through the rule of law. co-operate with similar organisation in Australia and other countries through the channels provided by ICJ Geneva and other available means. ICJ Victoria seeks to fulfil its objectives by public education and seminars, submissions, publishing, and advocacy. The ICJ, founded in Berlin in 1952, is an international non-governmental organisation with consultative status to the United Nations, UNESCO, the Council of Europe and the Organisation of African Unity. The ICJ has 82 autonomous national sections and affiliated legal organisations in 62 countries. Its headquarters are in Geneva, Switzerland. The ICJ Centre for the Independence of Judges and Lawyers was founded in 1978. The ICJ has been awarded the first European Human Rights Prize (1980); the Wateler Peace Prize (1984); the Erasmus Prize (1989); and the United Nations Human Rights Award (1993). ICJ Australia was founded in 1958 by eminent jurists including Victorians Sir Owen Dixon, Eugene Gorman QC, Maurice Ashkanasy QC, Richard Eggleston QC & Keith Aickin QC. 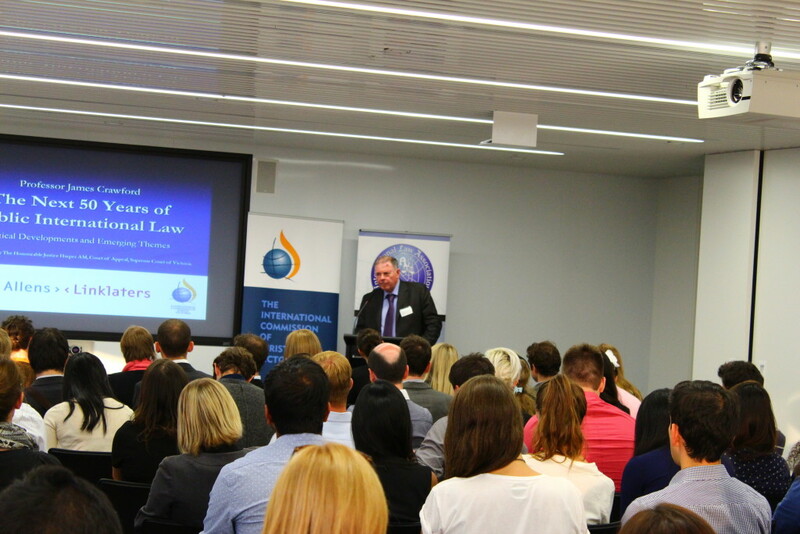 For more information about the Australian ICJ, click here.